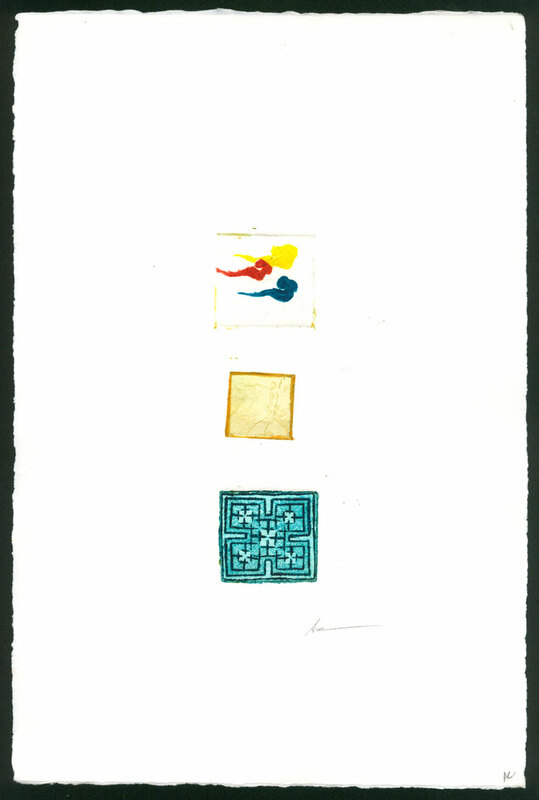 These three tiny etching plates were hand inked and arranged to go through the printing press together, creating a one-of-a-kind print. 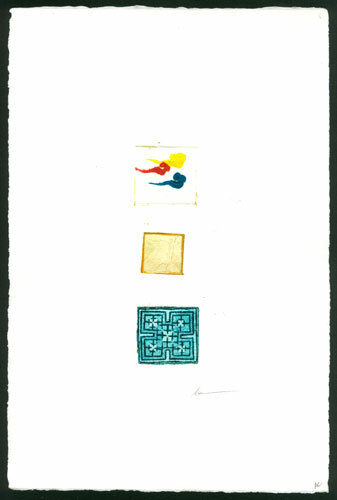 Each etching plate is only an inch or an inch and a half square, the images floating in the center of the white page. The top plate was painstakingly inked so that each aquatinted curl of “smoke” got its own colour, and then the two subsequent plates — both etchings with added aquatint — were inked with the same colors to complement the first. Together the three separate decorative motifs give a different meaning and presentation than any one piece would singly. Patterns and Symbols, 8″x12″ etching on watercolor paper, $299 with free shipping.